Google still cares about iPhone and iPad users. The search giant today added Street View functionality to the mobile web-based version of its Google Maps service, a week earlier than anticipated. The feature is easy to use. 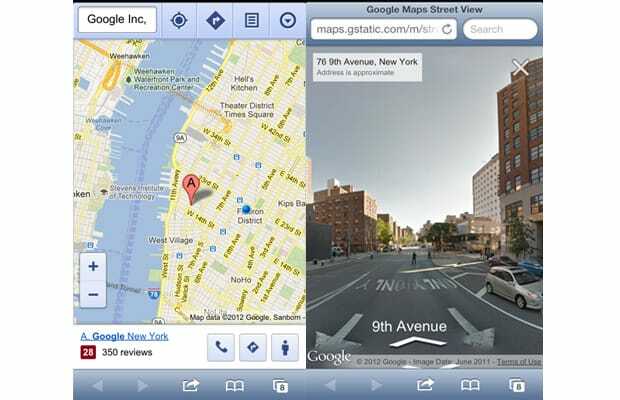 Visit maps.google.com on your mobile browser, enter an address, and you&apos;ll see blue version of the Street View icon on the bottom right. Click that and a new page will open with Street View where you can swipe around to view the location. This, along with the ability to make the web app act like a real, native app, should satisfy most users until Google comes through with the official Google Maps iOS 6 app.